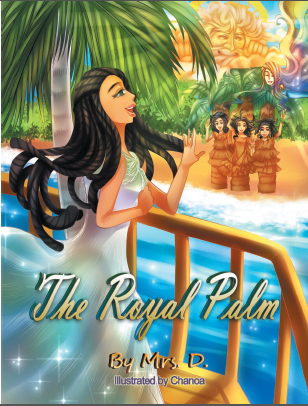 This story begins at its end with the protagonist, a stately Royal Palm, reflecting on her beautiful new home. Born on an island in the middle of an ocean that was often brushed with violent storms, she grew up in the shadows of short, plain palm trees who protected her while she was little. The Royal Palm dreamed of living in the garden of a majestic palace. As she grows older, the Royal Palm brags about her beauty and becomes snobby, refusing to play with her plain cousins. She admonishes the green parrots and lizards who mess up her hair and leaves. What she does not realize is that as she grows taller, she becomes weaker and more vulnerable. The day will come when the sun will parch her roots and violent winds will bend her limbs. How does she survive? As is the case with Mrs. D’s other books, the language is lyrical and colorful. She describes the Royal Palm: “Glittering with playful diamonds, her silver dress waved in the air, filled with aroma and warmth.” In contrast, the plain palms are depicted as “dressed in dull brown dresses.” Mrs. D effectively employs the techniques of alliteration, personification and analogy to communicate her message. Chanoa’s illustrations filled with gorgeous pastel colors and animated facial expressions never fail to disappoint the reader. 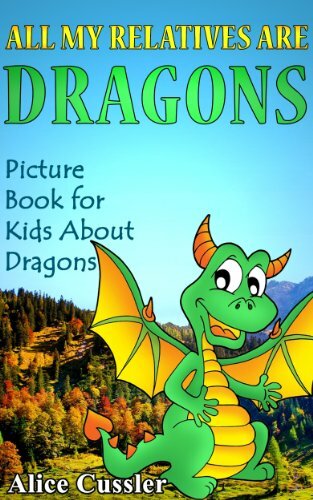 This book is targeted for ages six through ten. Younger readers are able to follow the story while it is read aloud through the illustrations, while children aged eight and older will be better suited to independent reading of the text. Mrs.s D addresses many of the difficult issues children face in dealing with their peers in a whimsical, charming tale. Highly recommended.